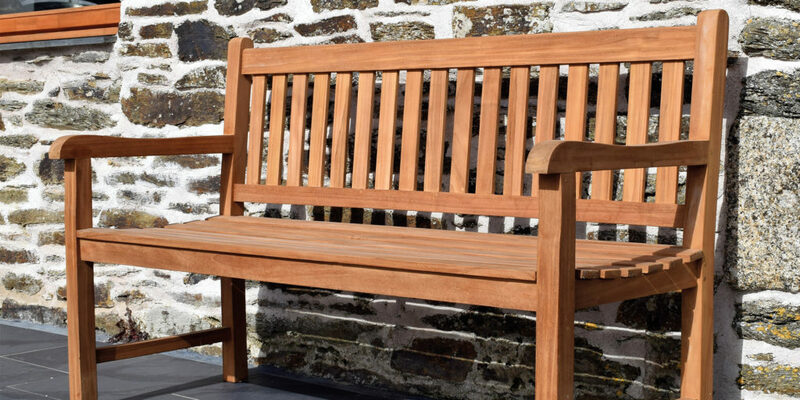 Whether you need a single chair, or are looking to completely renovate your garden in time for summer, the friendly and knowledgeable staff are always on hand to guide and advise you. Why not head to the website and shop online? 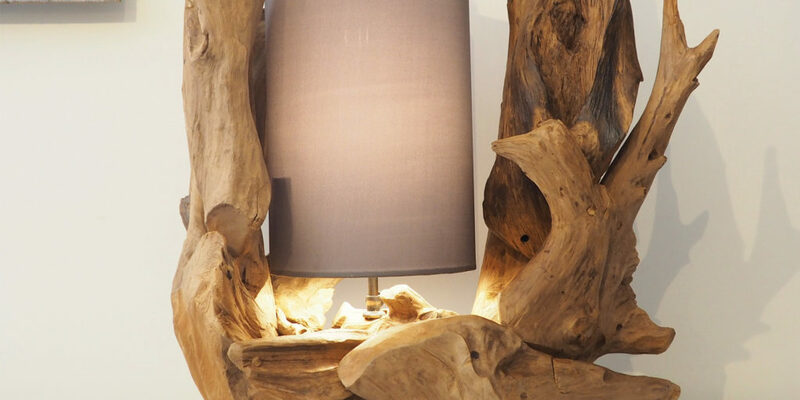 Alternatively, drop into the showroom in Par and see the whole range on display. You can also take advantage of the team’s in-store only discounts! 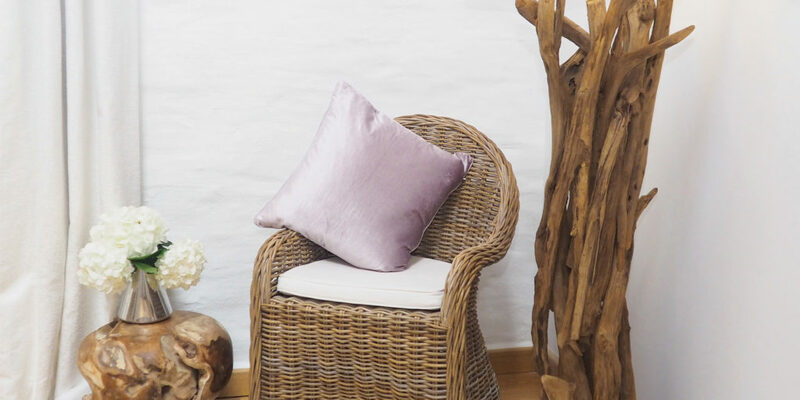 All furniture is held in stock, ready for immediate dispatch, and their made-to-measure garden cushions and parasols are available in a wide variety of traditional and contemporary colours. 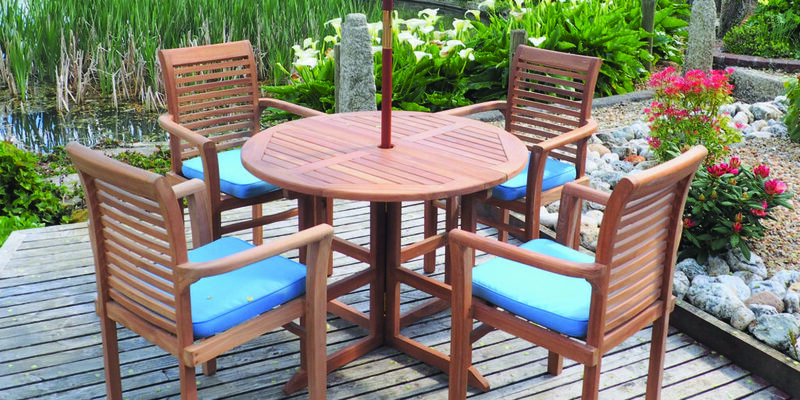 Made from beautiful teak hardwood, all their furniture pieces are handmade using traditional joinery techniques with a fine-sanded finish. 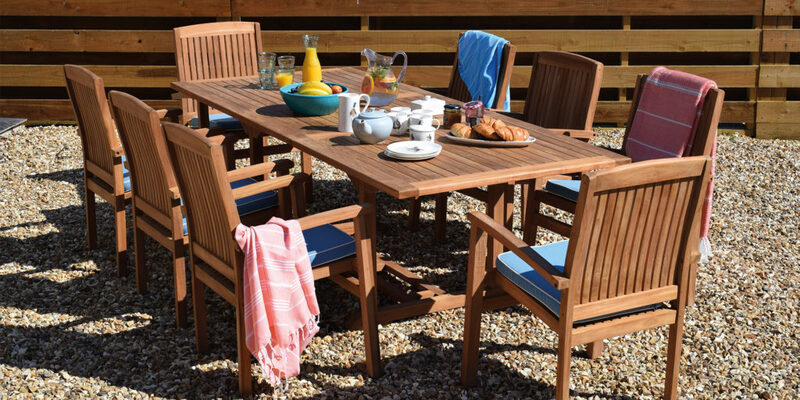 The team are on hand with expert advice on how best to care for and maintain your teak garden furniture, to ensure it will last for many years to come. 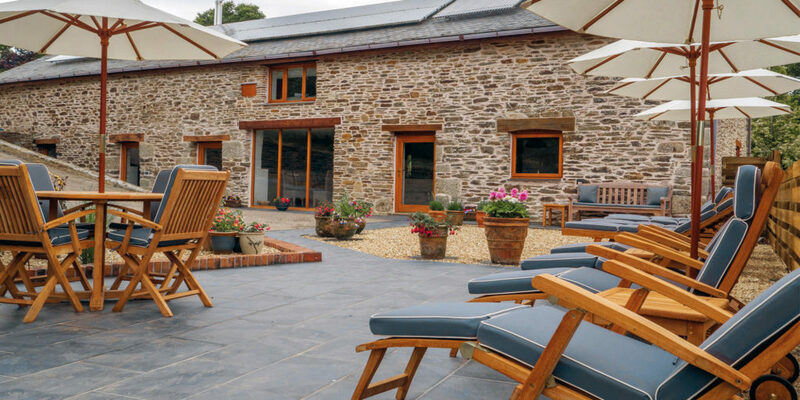 Regular readers of Cornwall Living may well remember the Cider Barn from issue 81, a modern barn conversion that, with the help of Rustic House, effortlessly blends contemporary chic with a distinct rustic feel. 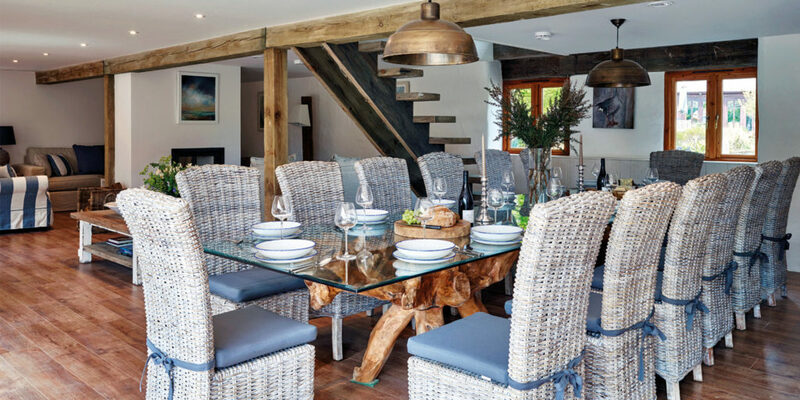 Other projects include an impressive home staging project in north Cornwall, where the property’s final buyer liked some of the furniture so much that they purchased it along with the property! 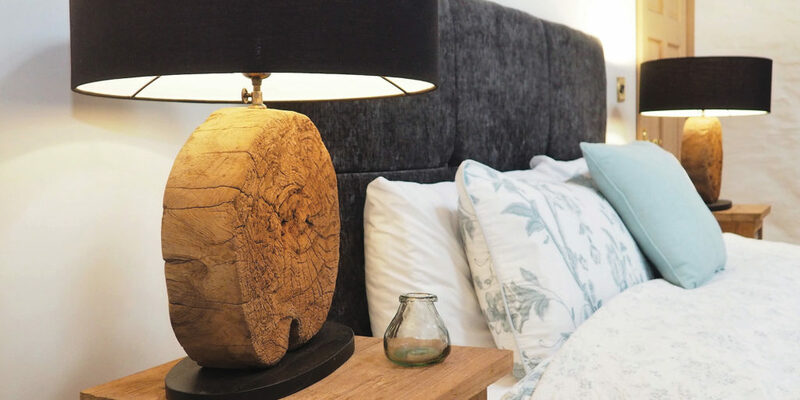 Emily and co. have also been commissioned to produce a number of one-off bespoke pieces for clients in search of something unique, from a single slab of live-edge suar wood to be made into a breakfast bar, to variations on their existing range. They’ve also been commissioned with some completely new ideas! 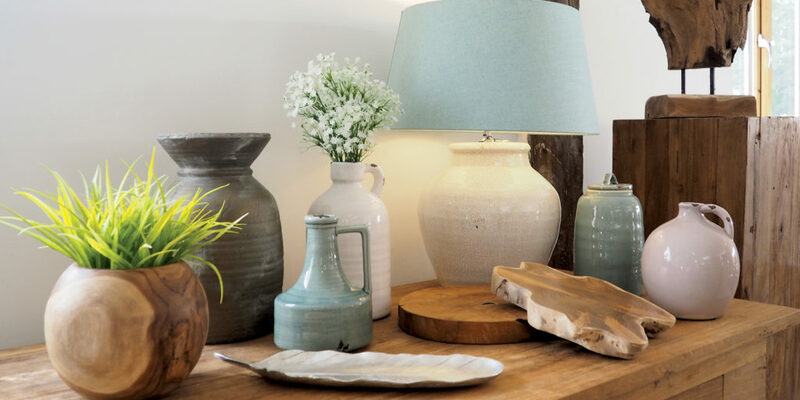 Back to the showroom and Emily explains that the range of furniture and home accessories on offer at Rustic House is continually evolving, as the team works with customer feedback to develop new products to their own specifications. 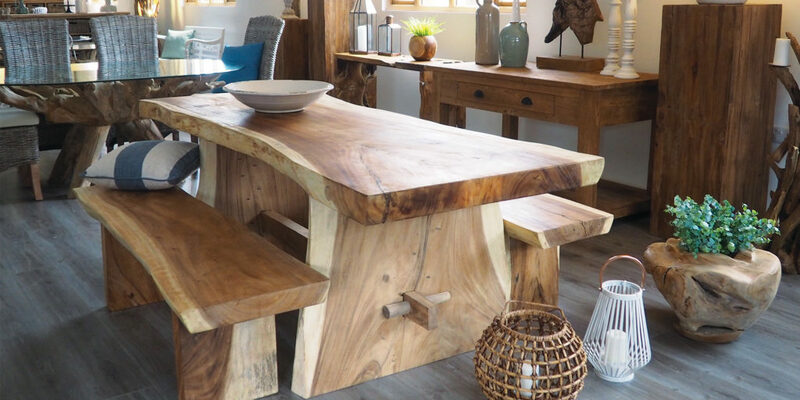 Especially popular among their customers are their beautiful teak root and live edge dining tables, which are just the ticket for adding a bespoke ‘wow’ factor to your home. 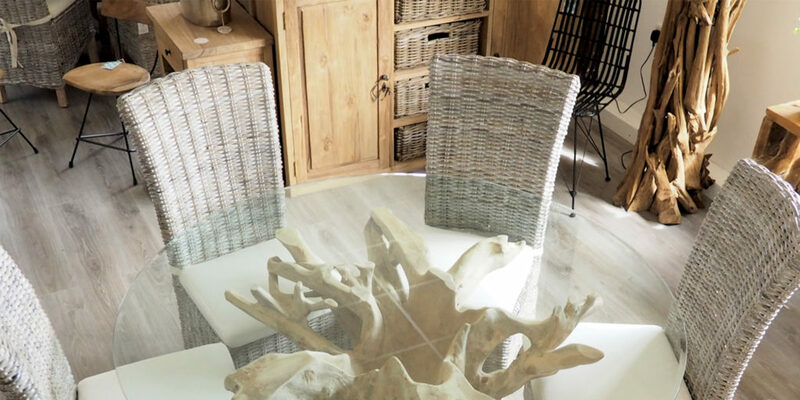 And that’s not all; you’ll also find a range of loose covered sofas, which are proving to be a stylish and practical choice for those hoping to add rental appeal to their holiday homes. 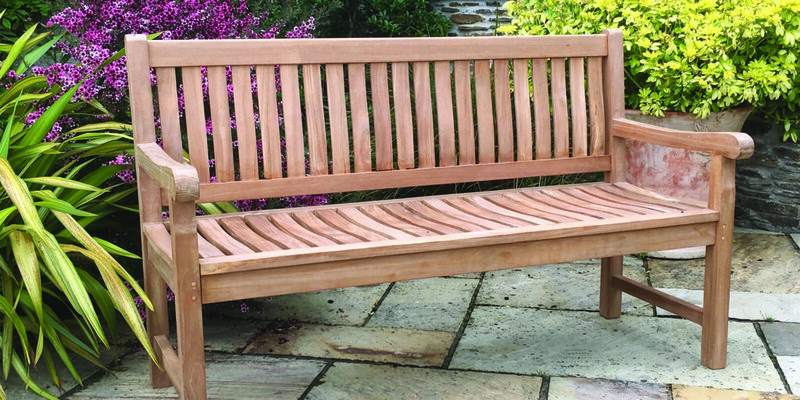 These are also held in stock, ready for immediate delivery. 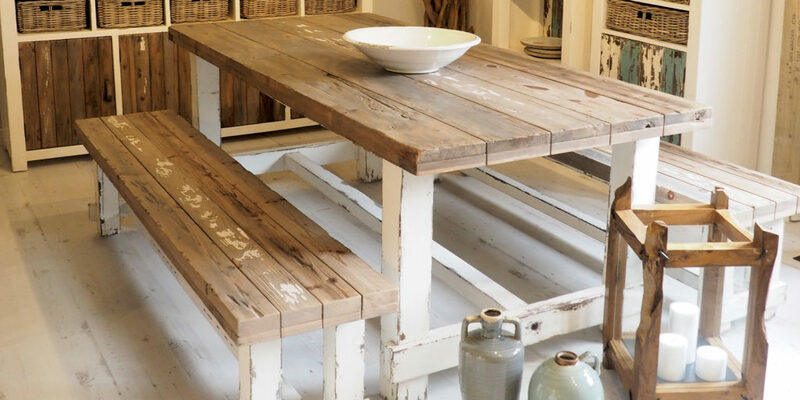 Importing directly from only a handful of suppliers who understand the brands’ style and aesthetic; if you’ve been thinking of updating your outside space, or are hoping to add a statement piece to your family home or holiday rental, it’s fair to say that a piece from Patio Furniture and Rustic House will be the envy of your guests.